Presented by: Dr Alvin Tan, Director of Office For Women’s Development, MSF. “THBT feminists should regret the narrative that motherhood is an intrinsically fulfilling experience”. The idea of motherhood which is considered a societal norm, can be a challenge to debate on. However, both teams confidently argued their respective viewpoints – society assumes that every woman would want to experience motherhood versus the responsibility of raising up children is a thankless and fruitful experience. They brought up various thought provoking perspectives to the table such as motherhood slows down career progression in women’s lives and stories of women who are not mothers but are successful in their careers. The face-off was indeed thrilling to witness. 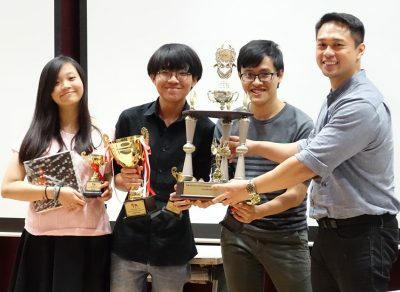 Congratulations to the winning team– Personality Club (Adil Hakeem, Metys Ngo and Cavan Tay) and the best speaker of the tournament, Nar Sher May! 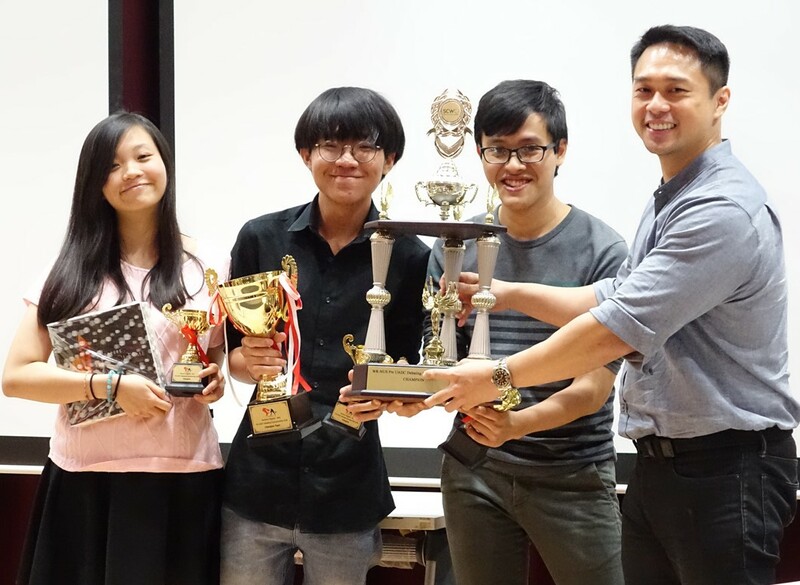 Not forgetting the rest of debaters who worked hard to put up a good fight – Well Done! To watch the grand finals of the debate tournament, click here. Just a few days, after the debate, Women’s Register had the privilege of featuring Mediacorp artiste, Zoe Tay, Gold 905 Radio DJ, Vernetta Lopez and Head of Celebrity Agency, Georgina Chang in WR Conversations that was held on 23rd May 2018 at SCWO. The panel discussion, moderated by Sarah Bagharib, focused on the three panellists sharing about their journeys in the media industry. Hearing them share the opportunities they seized to enter the industry, the passion they have, and the achievements they gained throughout the years were not just entertaining, but also encouraging and enriching. They all had their fair share of obstacles they faced along the way but it was inspiring to learn how these women overcame these challenges. Their journeys illustrated that with passion and determination, everyone can achieve their dreams. They encouraged everyone to have a positive outlook towards the battles that come along the way and just like them, everyone too can overcome and grow to be better. 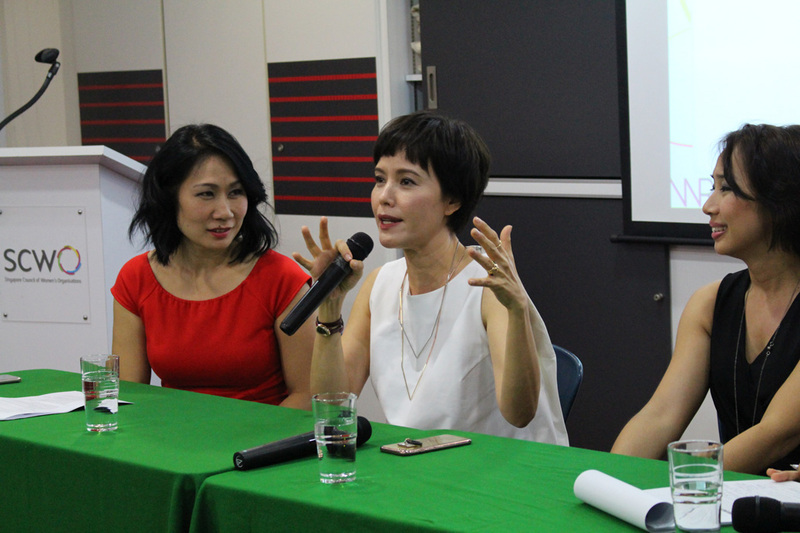 Women’s Register would like to thank the panellists for being a part of this meaningful event. Their presence and inspirational stories certainly made this event a great success!